There is almost nothing on the Up Cannabis website. Search, shipping, contact, terms, privacy, careers are the headings. One has to join the online community to receive any information about products. This is due to the age restriction. I wonder if garden clubs and horticultural societies will include this topic in their speaker series? Growing Marijuana in the garden. Or perhaps this summer's off-site visit will be to the new UP Cannabis facility. My preference is for the flower-growing facilities like the COSMIC orchid greenhouses. The challenge for visits to these places is that they use natural pesticides and don't want any external contaminants brought in. Greenhousecanada.com has great headlines that outline what's happening - and has an article on a natural pest control beetle that is relevant to cannabis growing. In addition, they indicate that we can expect shortages of some floral crops as flower growers sell/sold their facilities to cannabis growers. More shortages may be on the way. In B.C. acreage of vegetable production has decreased because of conversion to cannabis. So could we in Niagara be seeing fields of cannabis this summer? Driving along the QEW or the blossom trail could turn out be an expanding experience. 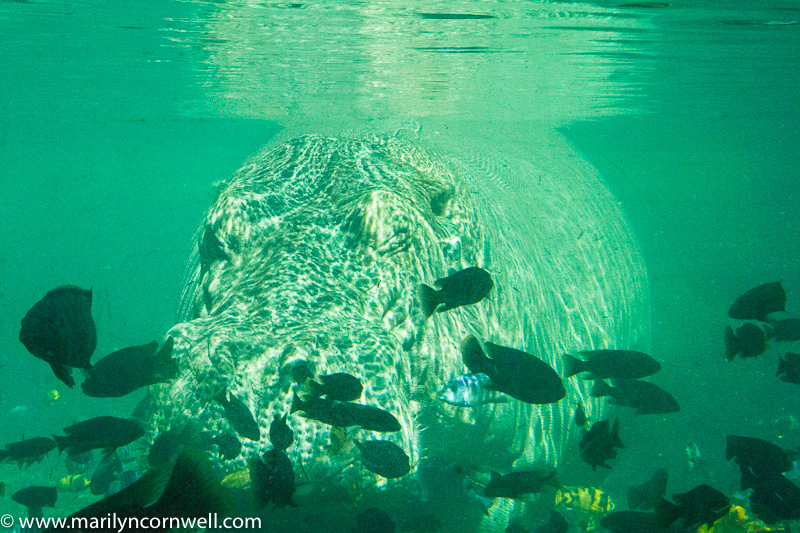 Our picture today is another image of the hippopotamus at the Disney World in Florida.